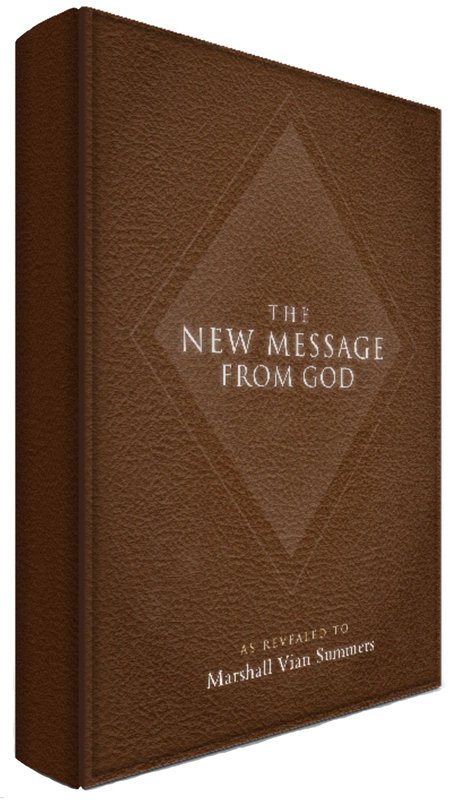 The New Message from God is the largest Revelation ever given to the world, totaling over 9,000 pages of text given over a 36-year period. How do you begin to read, study and practice a revelation this large? Where do you start? While you are free to begin anywhere, The Society offers a study guide for students built upon the wisdom and direct input of the Messenger. Consider the suggestions below as you chart your unique and individual path through this great wealth of teachings and revelations. However you proceed into the library of the New Message, know that you are standing at the beginning of a new journey in life. This journey has the power to awaken Knowledge, the spiritual intelligence within you; to reveal your true direction in life; to expand your awareness of those larger forces shaping our world and to recall to you the greater purpose for which you have come. From here, the pathway leads ever upward, bringing you to new vantage points of experience in your life, bringing you closer to Knowledge within you and ultimately to God, through God’s New Message for the world. Read and listen to the Voice of the New Message Revelation delivering the following revelations. 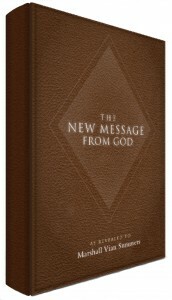 Read a brief story of the New Message and see and hear the Messenger. Learn about Knowledge, the spiritual power and source of inner guidance that lives within you. Discovering this Knowledge and building your connection to it is the foundation of the pathway of learning and living the new Message. Learn about the reality of Life in the Universe and The Great Waves of Change. These two core realities have the power to reshape our world and the lives of every person. This is why God has spoken again and it is critical you learn what this means for you and for the world. What is the Greater Community? If you are ready to begin the journey of discovering and cultivating your connection to Knowledge, consider beginning Steps to Knowledge: The Book of Inner Knowing. These 365 daily Steps are meant to lead you to a revelation about your life and destiny.Begin reading the book Greater Community Spirituality, which presents the reality of the Greater Community of life in the universe and the timeless Way of Knowledge. Read the revelations regarding the origin, destiny and mission of the Messenger. Come to learn more about this man, what his presence in the world means and his connection with the former Messengers. Every two months there is a dedicated session of the Free School, representing a major corridor of the New Message. Within the Free School, you will have the opportunity to participate with and to hear from students from 92 countries from around the world. In each Session of the Free School, you have the opportunity to study key revelations selected by the Messenger himself and to explore the deeper meaning and wisdom that the New Message provides. Attend the weekly online Campfire Chat and meet other students of the New Message worldwide. Learn from others, The Society and the Messenger himself and share the experiences you are having. Attend the Fireside Live Broadcast with Patricia and Reed Summers and learn key insights and wisdom regarding the revelations being studied. You can join at any time and it is free! Register for The Free School of the New Message and explore what the school is studying and practicing now. For five days in the Fall, the Worldwide Community of the New Message convenes at The Encampment to share an immersion experience with members of The Society, the Messenger and students of the New Message from around the world. On retreat from your everyday life, in the spectacular setting of the Rocky Mountains, you have the chance to experience the greater direction and purpose of your life and what they mean within a radically changing world. Together we will delve into our sacred relationship with Knowledge and build connections with others in the worldwide community of people who are responding to the New Message at this critical time in history. The Encampment is for students who feel impacted by the New Message and feel their destiny in life could be directly tied to learning and living this New Revelation from the Creator.